Memories are made and Memories are shared. At IVOR we’re all thrill-seekers. As far as we’re concerned, nothing beats the rush of camping out in nature enjoying the sights and sounds that mother nature has to offer. So, if you are looking for an unforgettable camping experience, come camp with us at Indian Valley Outpost Resort. This is glamour camping for the family or large groups. Fun for all in our authentic, Sioux Indian style, fully-furnished tepees. Bring your own rig! Two full hook ups creekside and two partial hook ups, or, rent our bunk house RV. Come join us at our outdoor theater. Bring your lawn chairs. Featuring family films. Show begins at sun down. No Longer Serving Breakfast. Camp Cot Races CANCELLED. 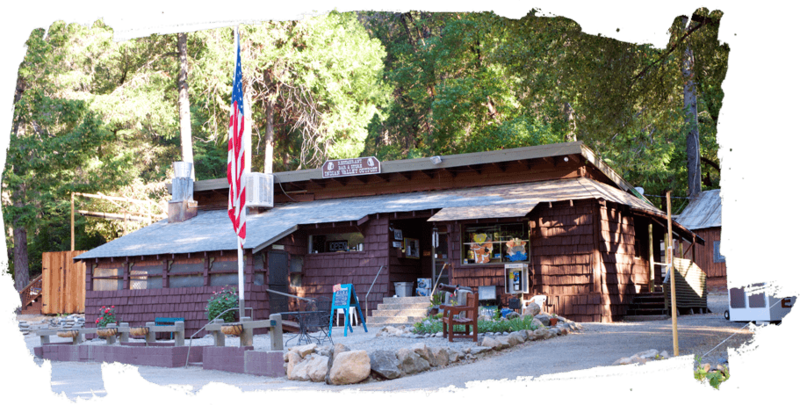 Indian Valley Outpost Resort is located on special use permitted land in Scenic Corridor of the Tahoe National Forest. Copyright © 2016 Indian Valley Outpost Resort.